Want a little bit of country, but close to city life? Just minutes off of I-71. 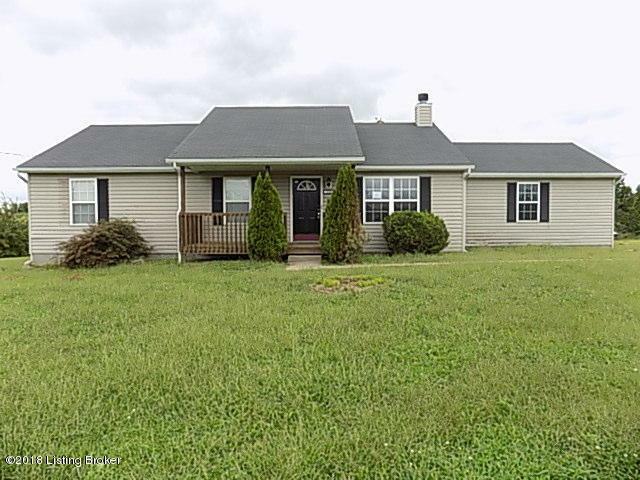 Come see this 3 Bedroom/2 Full Bath Ranch Home sitting on approximately 1.4 acres of rolling countryside! Open floor plan features a vaulted ceiling and fireplace in the Living Room which flows into the huge Eat-In Kitchen. The Kitchen has tons of cabinet and counter space (plus a pantry) for the chef in your family. There is an attached 2 car Garage, Covered Front Porch for enjoying your morning cup of coffee and a Back Deck overlooking the privacy fenced back yard. There are woods behind the fence line giving you a bit more of the privacy you are looking for!This property may qualify for Seller Financing (Vendee).